UIUC Anth Faculty in the News! UIUC Grad Students in the News! UIUC Undergrad Anth Majors Abroad! UIUC Undergrad Anth Majors in the News! 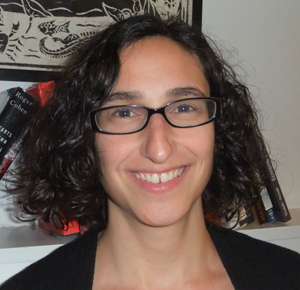 Our Department takes great pleasure in welcoming Dr. Jessica Greenberg (PhD, University of Chicago), as a new faculty member. Jessica’s research focuses on the anthropology of democracy, post-revolutionary politics, youth, postsocialist studies, and political communication. Her research on student activists in post-revolutionary Serbia has led her to track and analyze the conditions of possibility for transformative politics in the post-Cold War period, and the ways in which contemporary democracies are shaped by the imaginaries and expectations of earlier political forms and practices. In addition to recent articles in journals such as American Anthropologist, she is currently finishing her first book, entitled After the Revolution: Youth, Democracy and the Politics of Disappointment in Postsocialist Serbia. UNESCO Comes to the U of I! U of I Ranked as #24 in Top 100 Universities in the World! New UIUC Chapter of Lambda Alpha, the National Anthropology Honors Society, Just Established!